Any advice greatly appreciated for this novice renovator! 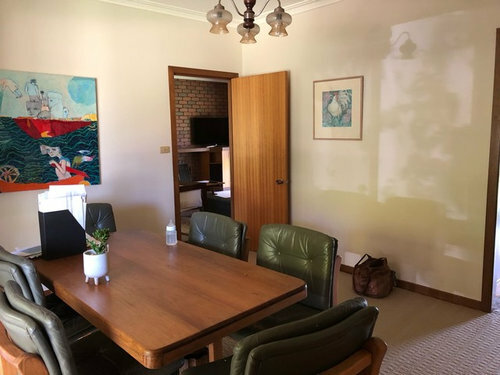 We have recently purchased a 1980’s home which is super dark and also has a very sectional layout. Currently our kitchen is in a little room of its own and so is the dining area. 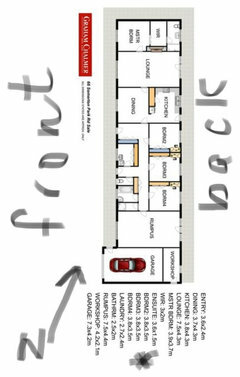 We would like to open up the kitchen/dining/living space (see the picture for our home layout) and create an open plan. We have a truss roof so removing walls won’t be too much a big deal (or so I’ve been told). One thing we foresee as a possible issue is that our bedroom is off the living space, so if we open up the space our bedroom becomes less private. 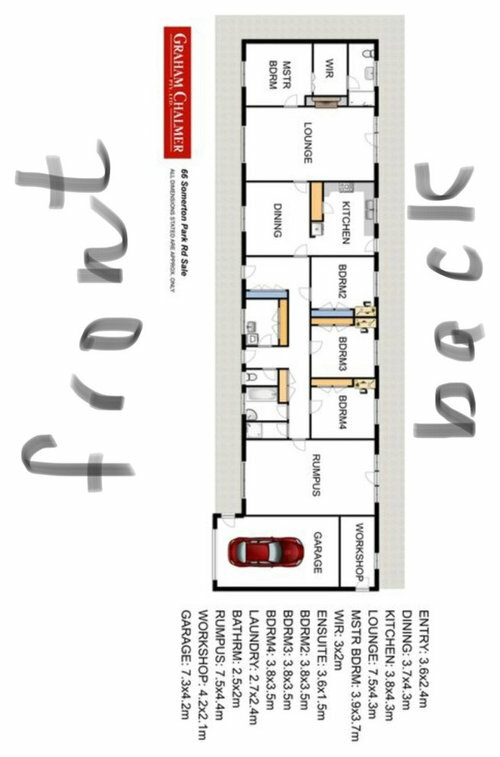 Does anyone have any tips on how we could configure this space so that we could make our bedroom a little more private while enjoying open plan living . We’d also like to have an outdoor area coming off the back of the house with access through large bifolds or sliders. Wow thank you oklouise. I really like what you have drawn up. You seem very experienced and knowledgeable with renovations, do you do this professionally or is it just a side hobby? 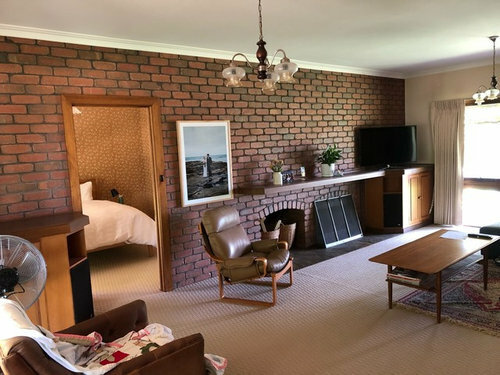 I’m curious, what would you do with the brick fireplace wall, would you keep it as is? I love the look of bagged walls do you think something like that may work? Also how do you think we could best tie in an outdoor area out the back? Hi oklouise, so after a bit of thought my hubby and I came up with the following kitchen/living design. With your skilful design brain and knowledge, do you think something like this would work. We thought relocating the kitchen to an entirely different location within the space would allow for more privacy in our bedroom. Would you be prepared to draw up a rough design on your computer app pretty please? The measurements in the house plans are correct. I’m just keen to see what they may look like when drawn up properly? Any of your help would be so appreciated. oklouise, what would you do with the sink? 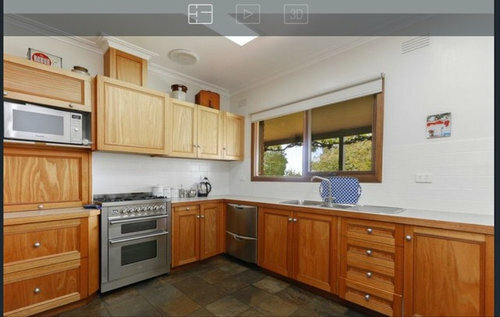 Would you move it to be along an ‘outside’ wall, so to make the kitchen a U shape? We just loved the idea of a large island so our family of 5 could have breakfast and the odd lazy dinner around the island. 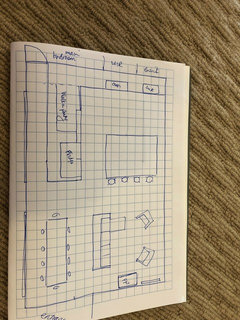 Hubby and I have only guesstimated the size of benches/island/cupboards etc based on our space but if you have rather accurate sizes of things it would be nice to see how they could fit our space. Do you think our idea of relocating the kitchen to this wall is a good one, or do you see issues with it. We know there is going to be an added cost with relocating the kitchen, but we’d rather spend the money in this part of the house and make-do elsewhere. How do I create an open-plan living-dining area and entertainers deck?